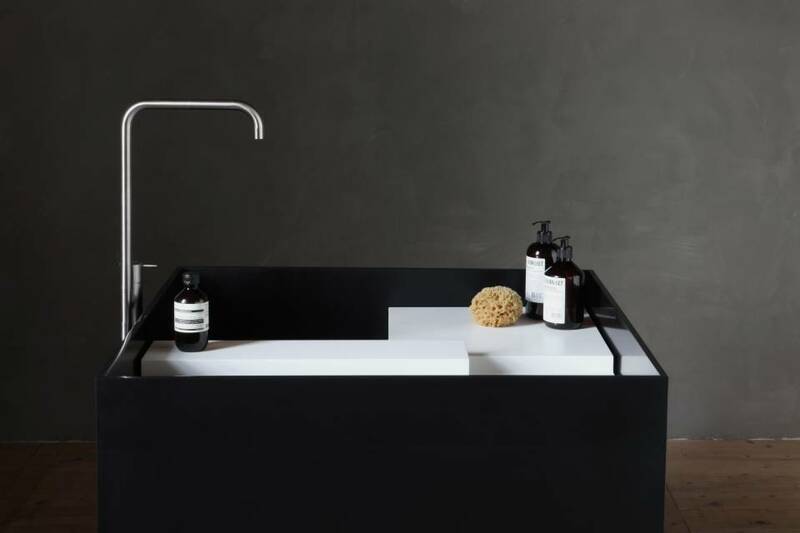 Three free-standing basins and two wall mounted ones make up Scape, the latest collection by the small Dutch brand NotOnlyWhite which is known for bathroom solutions striking in the simplicity of their designs. For the Scape collection, NotOnlyWhite opted for the first time to use an external designer. Joost van der Vecht, who is also Dutch, has an interest in graphic design and Japanese architecture and his sense of simplicity and proportions echoes the aesthetic of NotOnlyWhite. 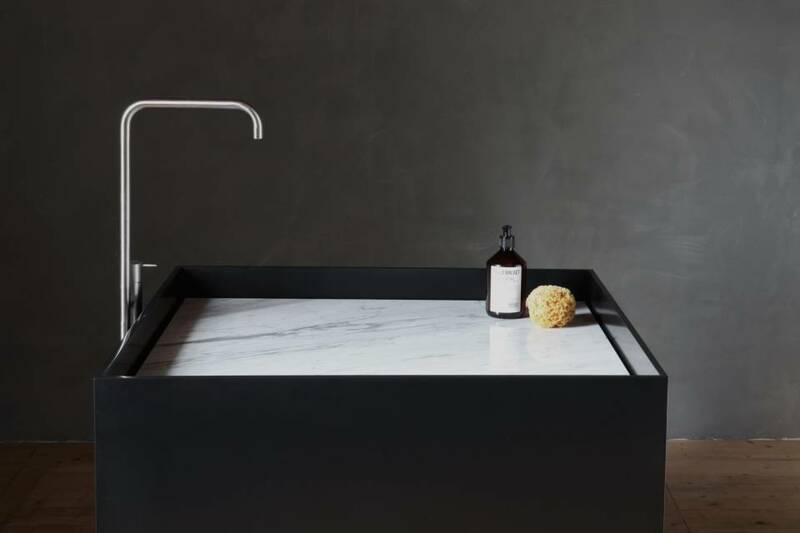 Carefully chosen ratios and the mix of colour and material make Scape an intriguing collection. Despite its stately appearance, the monolith looks light with its slim 12mm outside edge and the subtle plinth lifting it slightly from the floor. 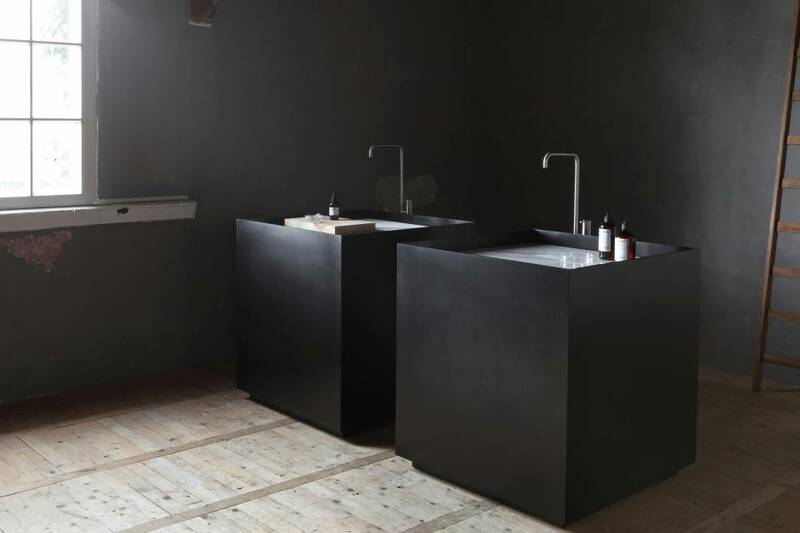 For the inside of the monolith customers can choose from three different options creating their own ‘landscape’ which is where the name of the collection derives. 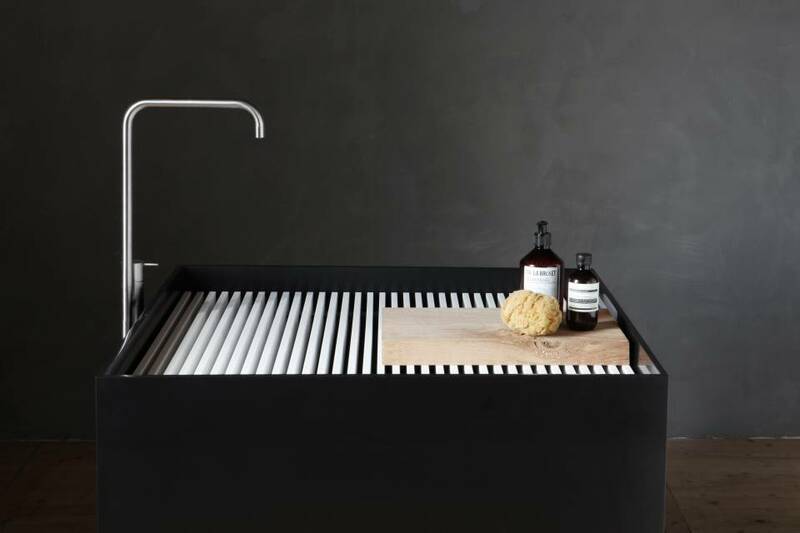 The first option is a choice of blocks, the second a grid and the third is a single piece of Bianco Carrara marble. This variety of possibilities offers great scope for arranging accessories in a fun, individual way. 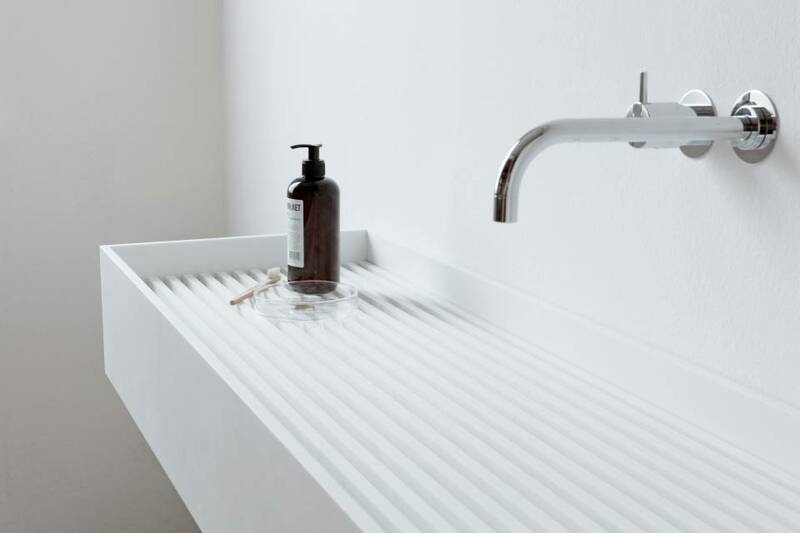 The wall mounted basins offer the option of either a grid or block inlay, the latter of which allows the basin to be separated into two parts. The inlays for this series are available in different colours. 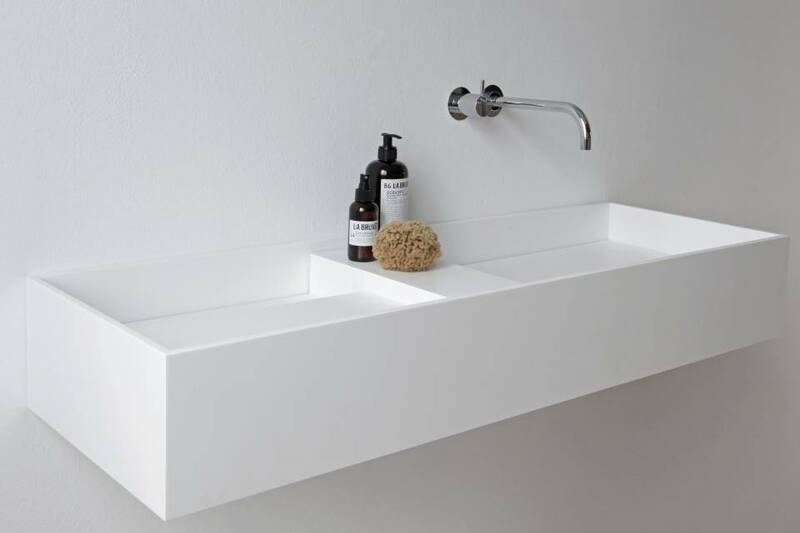 HI-MACS® acrylic stone is the material used for this collection. Its manufacturer claims excellent hygienic properties and thanks to a non-porous surface, the material is effective at repelling stains, making it easy to clean and maintain. … and then there is Zaha Hadid, again, who, it is claimed by Hi-Macs, to have used their acrylic stone material for a number of projects!